Drywalls were invented to make our lives easier! We can use them in multiple ways and there are perfect solutions when we want to remodel our house. They offer easy solutions when we want to install ceiling spotlights, create one more bedroom for our newborn or just change the indoor environment. So, take advantage of their easy installation and use them to create a new atmosphere and make your house more cosy and functional! Are you planning home improvements? What's the usual path we all follow? We find a good texture coating of walls and ceilings, move around some furniture and do some cleaning. 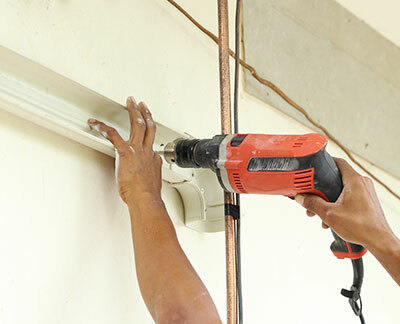 Well, you can give a complete new face to your house just by using drywalls depending on your needs. So, the first step is to consider your own needs. Do you need to create space for one more bedroom? If you have a new baby coming soon or your mom decides to move in and you just lack the space, drywall installation is the best solution. 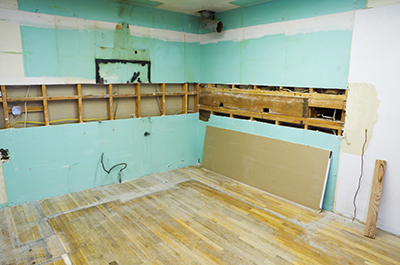 Choose the biggest room in the house and see where you can put another drywall to create a separate room. You can do the same when you need to move your office at home or create space for a storage room, playroom or guest room. You can install a drywall just to hang your TV, separate your kitchen or for decorative purposes. Drywalls will be helpful when you need wall insulation. On the other hand, if your kids are grown and gone and you just need only one guest room in the house, think the other way around. In this case, drywall removal will be the solution. It will help you enlarge your house or use smaller panels to create decorative corners. If you don't want to make any substantial changes but just give a fresh look to your house, drywalls can help you achieve excellent results. Are you tired of white walls and the same pictures hanging on them for so many years? Think positive and creative! Start by taking all pictures down and check out the condition of the wall. Nail hole and blemish repair would fix problems and allow you to paint the drywall with the color of your choice. Then, you can think of redecorating the walls the way you want. Drywalls allow you to put spotlights anywhere you want and so you can create a beautiful atmosphere which can be changed again if you get tired of your living room in a few years.